It was denied for years by the Egyptian authorities but beneath the Giza plateau, underneath the pyramids and the sphinx, is a huge labyrinth of ancient caves and tunnels, some of which are said to date back 15,000 years. 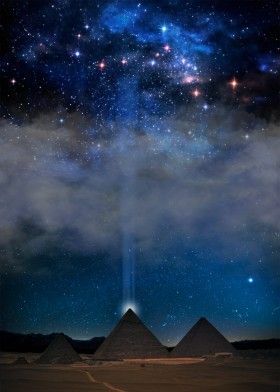 It is an enormous underground world that has been conveniently kept away from the history books, but the entire region of Ancient Memphis, now Giza, sits on top of countless underground chambers and secret tunnels. In the second part of this video, I present to you how the caves of Egypt and all of the pyramids were in fact constructed to save humanity from an impending global cataclysm at the end of the last Ice Age, and then through the 1,300 year Younger Dryas Event. All images are taken from Google Images for education purposes only.